How to install the ID-software on Windows OS? Close all other applications before downloading and running ID-software installation package. Double-click the downloaded file and follow the instructions, an automatic installation process will start. It may take a few minutes. After the installation is complete you’ll find 3 new programs on your computer - ID-card Utility, DigiDoc4 Client, and DigiDoc4 Crypto. 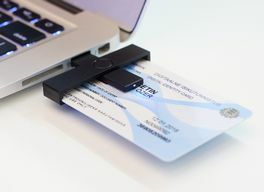 Connect the smart card reader to your computer, enter your ID-card and check whether your ID-card works by trying to log into LeapIN. ID-software download links for all supported operating systems can be found here. How to update eID software? How can I install the ID software on Mac OS X? What if I can only log into some of the e-services (Mac OS X)?